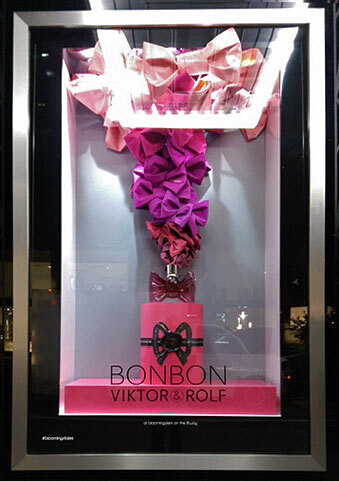 Victor & Rolf: Bon Bon — Geoff Howell Studio Inc.
A topsy-turvy tornado of in an entire palette of pinks twists out of Bon-Bon boxes and bottles to celebrate the launch of Victor and Rolf's new fragrance BONBON at Bloomingdales. 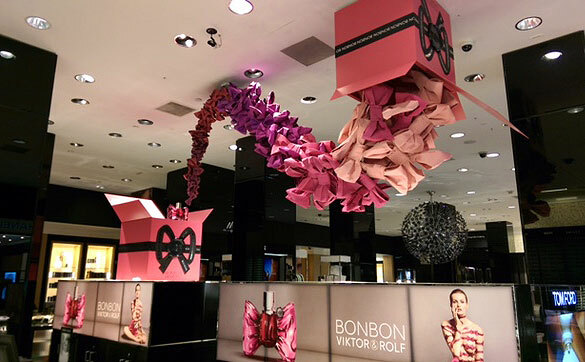 Geoff Howell Studio carefully crafted and colorized a LOT of bows and boxes to create the whimsical effect of this fashionable frenzy. 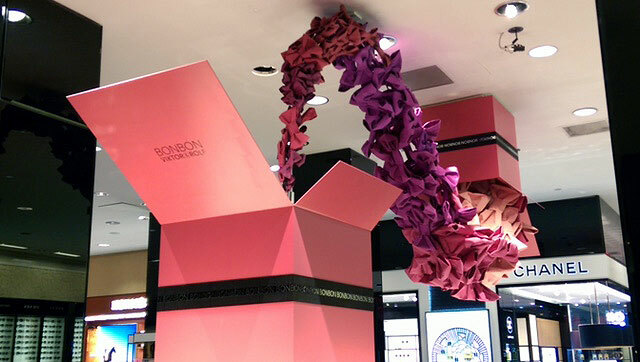 Of particular note, tho difficult to see in the photographs, is the black ribbon shown on the various packaging plinths and pillars. 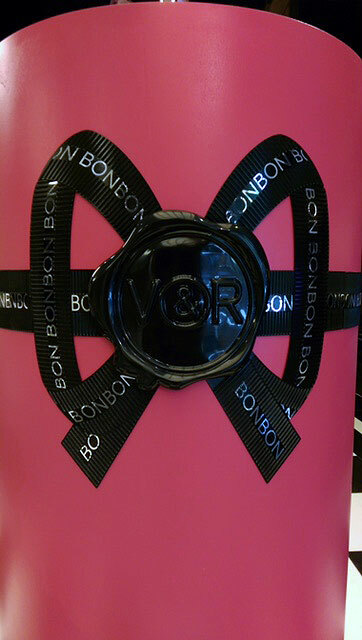 It is all surface-etched to look like gros-grain ribbon with separately applied mylar graphics. Companion windows on Lexington Avenue completed the installation.